It has been a few weeks since I have done a “My Week In Pictures” post, and I’m sorry for that, but I am currently trying to finish up a few work projects as well as I recently started Personal Training at my gym, and feel pretty much wrecked for most of the day lol. It rained almost the entire weekend and on Sunday night the sky lit up like it was on fire. 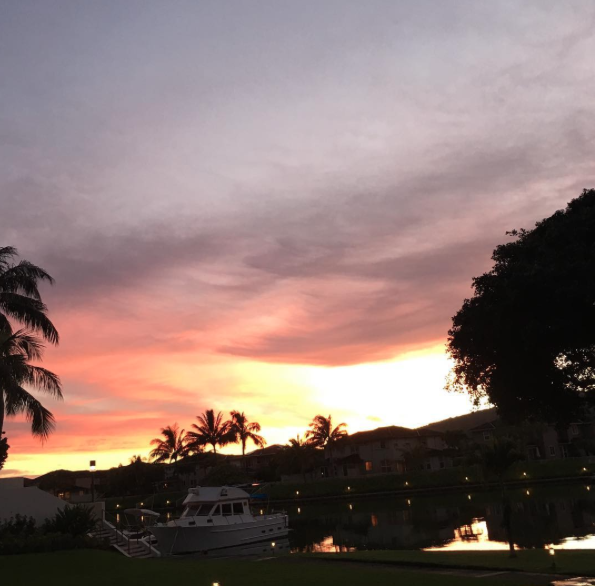 I am so lucky to live in Hawaii, we get so many amazing sunsets, but this one has to be my favorite. Not only do you have so much orange and pink but the grey, purples shades of the clouds are just incredible. Also did I mention this has NO FILTER added!!! 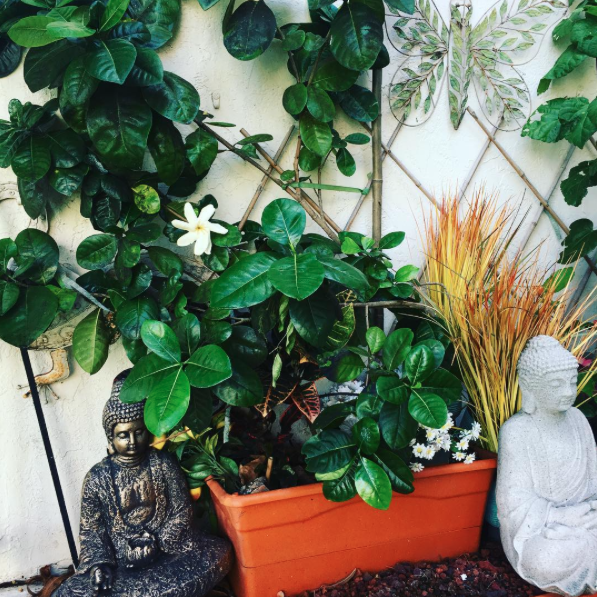 As you guys know I like to do a bit of gardening, and I planted this Gardenia almost a year ago, and got about 2-3 blooms and then it didn’t bloom after that. Well Tuesday morning I walked out to this little beauty! Wednesday I announced the winners of the 9K giveaway as well as the items for the 10K giveaway. 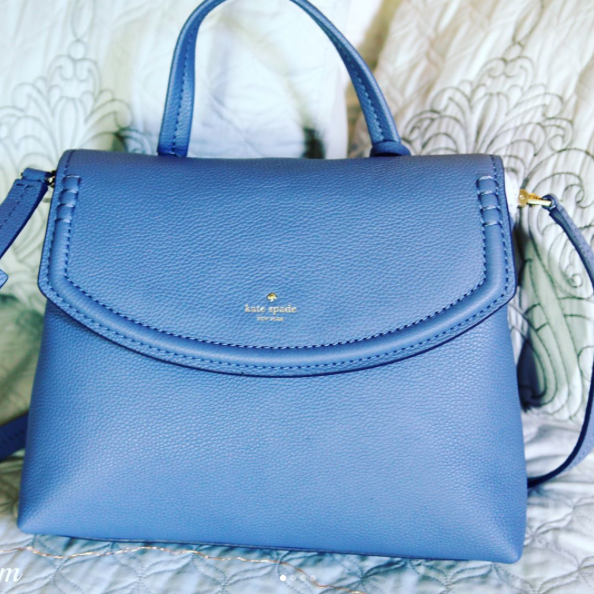 One of the items is this Kate Spade Bag. 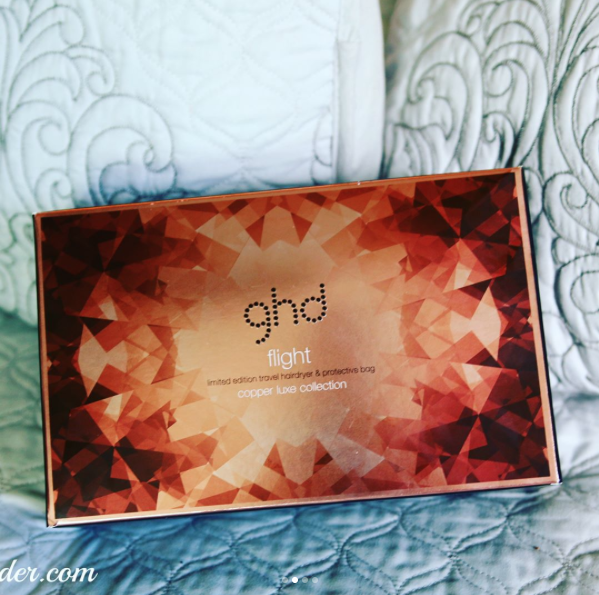 This GHD Flight Copper Luxe Hairdryer. 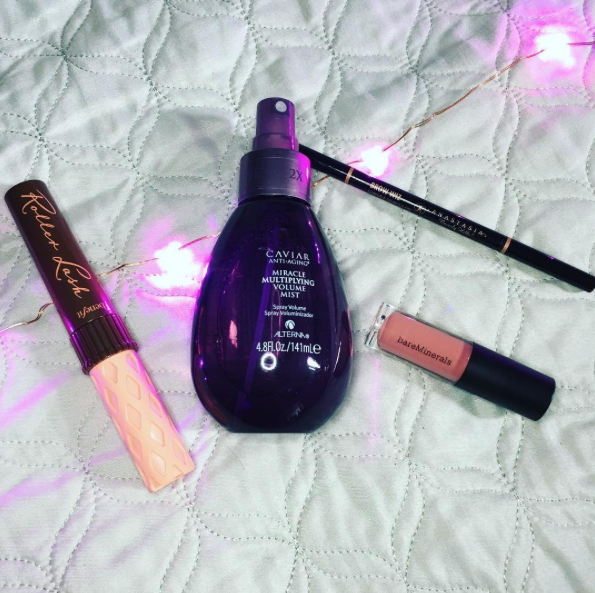 5 Products from the Zoella Beauty range. And these 8 products from Tanya Burr Cosmetics. You can see how to enter here. After an insanely intense workout session with my PT I needed to go to the escrow company for work, which meant I was right next to California Pizza Kitchen. 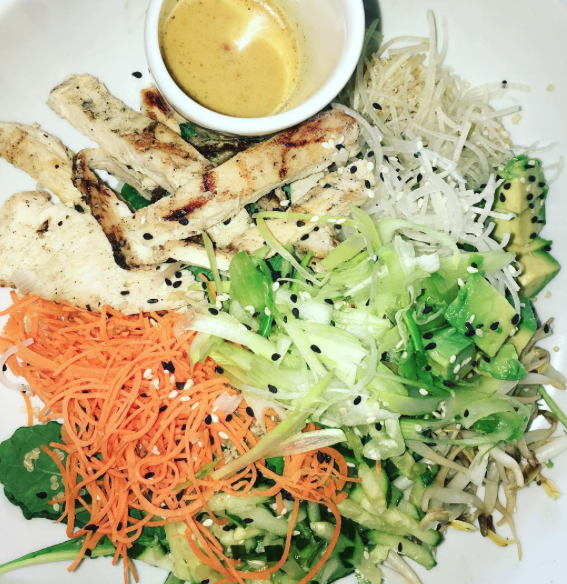 I had the Banh Mi bowl which was amazing. I also had the cucumber refresher which is indeed refreshing lol. 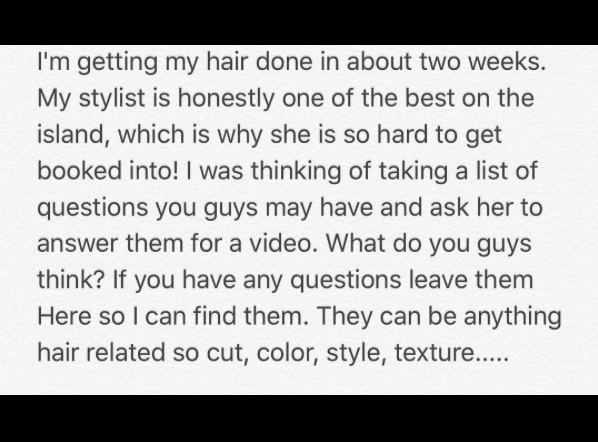 I also had the idea that I would ask my stylist any hair related questions you guys may have. My appointment is on the 18th, so if you have questions about how to grow your hair, when to cut it, how to color, anything you can think of leave them below. And that is everything I got up to this week, well at least what I was able to document for instagram lol. What did you get up to? Yay! I am really wanted this kate spade bag. Hope i win! I'm trying to be active.